They say the sixth time's the charm, right? Proof that perseverance pays off, Ryan Fernand of Lord of the Films submitted Children of Men to the MOTM poll once again for December and it finally paid off. Then, after all that time, it wasn't even close, as his choice had more than twice as many votes as the next closest film. The 2006 sci-fi drama starring Clive Owen was pretty much universally loved by critics and movie buffs upon its release, but never caught on much with the general public (at least not at the box office) - a subject sure to come up on the accompanying LAMBcast for the film. "The world's youngest citizen has just died at 18, and humankind is facing the likelihood of its own extinction. Set in and around a dystopian London fractious with violence and warring nationalistic sects, Children of Men follows the unexpected discovery of a lone pregnant woman and the desperate journey to deliver her to safety and restore faith for a future beyond those presently on Earth. " Now, let's see what your fellow LAMBs had to say about it. Thanks to all of the LAMBs that sent in their posts for this edition of the MOTM. It's also time to vote on next month's movie. Once again, I put out the call for MOTM Champions. The gist is this: I ask for volunteers - people to select a film to be placed on the poll (up to 10 per month, as usual), then promote it on their site, Facebook, Twitter, whatever. Should their film win, they are guaranteed a spot on the LAMBcast episode where we will discuss said film. As a bonus (? ), they will also get to host that segment of the show. This month, we have five potential Champions - the sites are listed along with the films in the poll in the sidebar. You have one week to vote (and promote your movies!). I'll be putting out the call for the next MOTM in a few weeks, so stay tuned. As we do every month, the LAMBcast is tied in with the MOTM. This time around, as mentioned, Ryan hosted the MOTM segment, and was joined by Dan, Lindsay, and Justin. If you're interested, you too can be a LAMBcaster - we love new blood! 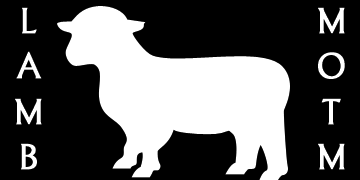 For more information on the LAMBcast, check out the topic at the LAMB Forums. Music provided royalty-free by Kevin MacLeod's Incompetech website. Big thanks to Kevin for providing this service. Opening song by Cake. The LAMBcast loves feedback, too - if you'd like yours read on a future show, leave it in the comments section at the LAMB. Please visit and like our Facebook page, and finally, we're on iTunes, and would still love a review, even if it's a bad one.